Have you ever visited a website that asked you to fill in a short form to access a free guide on how to manage your Facebook ads? Perhaps, you played a game on a Facebook page that, before submitting your results, asked for your email address? 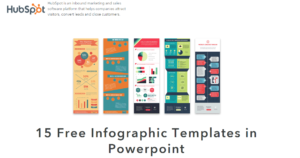 In this guide, you will learn about various lead generation campaign and how you can use it successfully to get new customers. Instead of getting calls from companies with whom you never had any contact before, you’d hear from a business or organization you’ve already showed interest in. As you might guess now — lead generation is the process of attracting and converting strangers and prospects into those leads. Therefore, lead generation is attracting strangers to get interested in your business and eventually turn them into your customers. Lead generation is a part of larger inbound marketing methodology. Inbound Marketing is a strategy that involves getting found by customer rather than pushing messages out to them. It involves content marketing, search engine optimization, and social-media marketing. The inbound philosophy is backed by a methodology that helps brands attract, convert, close and delight visitors and customers through a variety of channels. As a business, you want to attract people who can become your potential customers. These individuals are called buyer personas, and they are at the center of your inbound marketing efforts. Let’s assume that you nailed the first phase and you now have your buyer personas on the right path. Now we need to put in place your lead generation strategy. This requires lead nurturing, and to begin the process, you need to obtain the contact information of your site visitors. As you can assume, getting this information is not so easy — you have to offer something valuable to get the contact details that you need. And no, you cannot use the content you used in the attract phase. 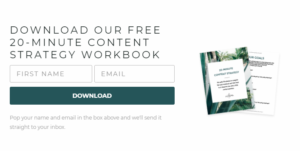 To be successful in this phase, we suggest creating relevant eBooks, webinars, infographics, templates, guides or blog posts that customers can access for free when they give you their contact details. There, you got your templates, they got your contact info — a win-win situation! The idea of inbound marketing strategy is creating long-term and valuable relationships with your customers. Once they purchase your product or service you don’t abandon them. Your goal now is to establish brand loyalty. You need to show your customers that you still value them. You can accomplish that by engaging with them on social media, email, send postcards, for example. Lead generation is important for the inbound marketing methodology, so let’s review the elements of lead generation process. * Visitors — Visitors have discovered your business through one of marketing channels, and on any of these channels, you will need to have a Call-to-Action (CTA). * Landing Page — Landing page is a web page a visitor opens for a certain purpose. Most frequent uses of landing pages are presenting some offers and collecting information using forms. 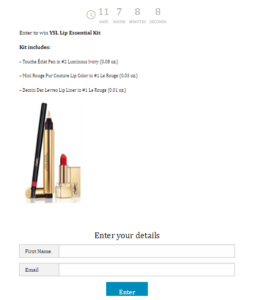 * Call-to-Action — CTA is an image, button or a message that invites website visitors to take some action (for example, “Play Our Game”, “Sign Up For Newsletter”, “Order Free Samples”, etc.). When it comes to lead generation, you must have a good landing page. * Form — Forms are series of fields that collect information about the site visitors. 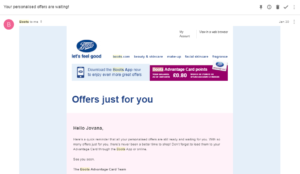 * Offer — An offer is something of value that’s being “offered” on the landing page. If you need some ideas on how to start your lead generation campaign, we’re here to inspire you! Try some of our suggestions. If you want to provide a unique value for your customers, you can reach out to a leader in your industry and organize an interview. The experts can talk about their success stories, such as how they built their first company, how they manage their business, or how their creative process works. U-Start is a professional advisory firm that drives venture capital investments for a wide array of private investors. 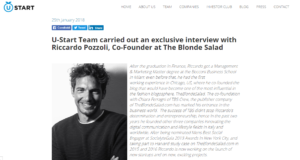 A few weeks ago, they did an exclusive interview with Ricardo Pozzoli, a co-founder of the probably most influential blog in blogosphere, TheBlondeSalad. How many times did you have an issue and googled it? 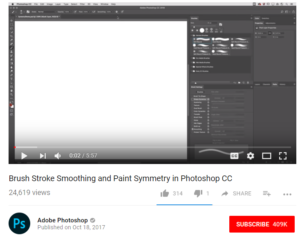 And how happy you were when you found out about a video tutorial that actually solved your problem? Provide that experience for your customers, too! Offer a quiz to your visitors as a creative way to learn more about them and to obtain their contact information. The goal is to “bargain” the results of the quiz in return for a new lead. 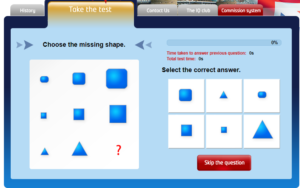 One of the best examples are IQ and personality tests. People take them because they want to know more about themselves, and they are ready to spend even 30 minutes answering the questions. Once they spent so much time doing that, they would be more than willing to fill in a short form in return for their test results. Creating a useful cheat sheet can take forever, so if someone else does it for you, it can be really valuable. If you have a list of tools that your company uses, share them! It’s a proof that you’re not interested only in selling your own products and tools and a self-promotion, but that you also care about your customers’ needs. They will appreciate that! 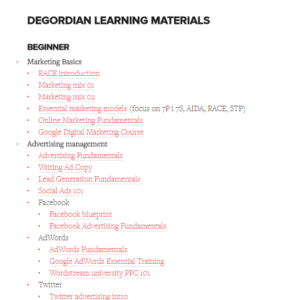 Seems really useful for everyone who is eager to learn about digital marketing, right? When using this technique make sure you give away your product or service. This helps to generate leads from people who want what you have to offer! Free trials of a brand’s services help get customers involved and realise the value of the product. Afterwards they will be more likely to purchase the full product. Tone It Up might be one of the best examples in the moment. Karena and Katrina are friends who have developed a fitness empire and their key to success are free trials. First, you go to their website and try some of the workouts. After a week or so, you realise that those workouts are great and that you’d want to try more of them. That’s when you get a trial version of their app, Studio Tone It Up. After a month of free trial, you’re in your 4th week of a challenge and you cannot quit now, right? And it’s working, you’re losing weight, so you proceed to buy an app. Then you try to eat healthier, because that’s the next logical step, and you find out about their nutrition plan, that also has some trial versions (like Detox Nutrition Plan). 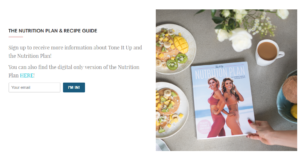 You have tried the full package now, you love it and, before you know it, you’re on their website ordering a nutrition plan. Pretty smart, huh? 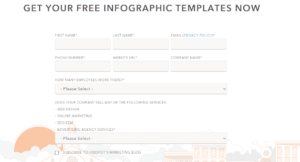 You’re ready for your first Lead Generation campaign! Give it a try, follow our advice and let us know how it went!